Please help us grow vegetables! 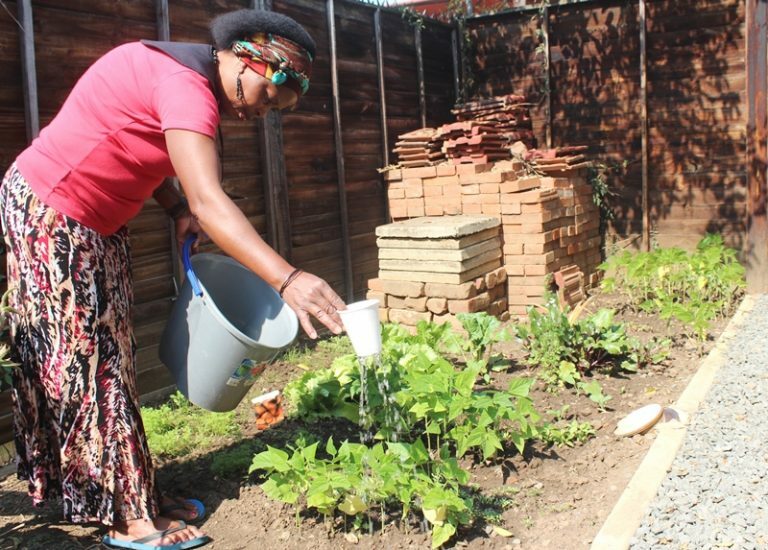 The Gay & Lesbian Network staff are growing a vegetable garden to help feed the communities which we work with. This has been taken up by the staff wellness committee, and has become a teambuilding exercise for staff members. Many of our beneficiaries have been disowned by their family and most battle to find work. One of the ways in which we can help is by providing food. After moving to our new office last year, the staff has designated an area for our vegetable garden, and we recently had a wellness day of planting some more vegetables. These have taken off well and some are nearly ready to harvest! Sadly, we do not have all the necessary tools available to us and we use a polystyrene cup to water the garden. Other activities, like digging and clearing, are all done by hand.